Local children and teenagers sell their native designs at the Manu Learning Centre (MLC) lodge to generate an extra income for themselves and their families. 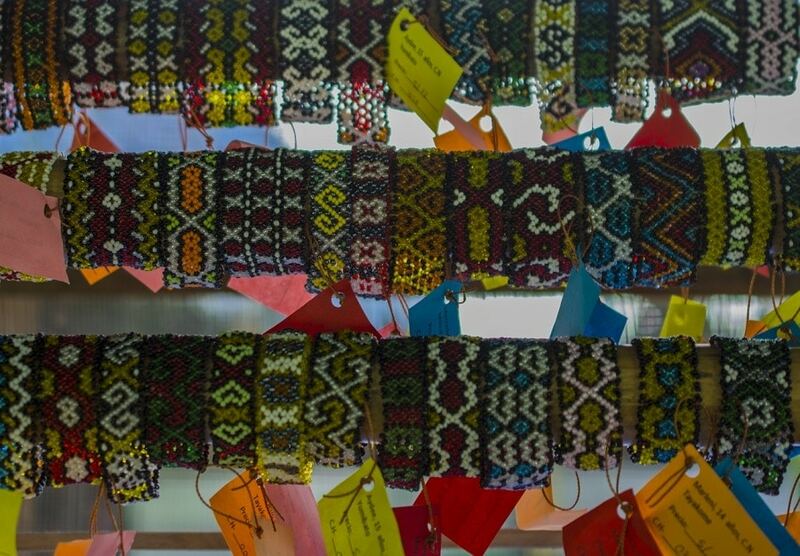 This week, our visitors and staff here at the MLC lodge have been snapping up the handmade bracelets that went on sale to support native children and teenagers living in a nearby boarding house. Many children from the indigenous communities that live within the Manu Biosphere Reserve here in the remote Peruvian Amazon are sent to Salvación, the capital of the Manu province, so that they can go to school. There is no other access to education in the region and life can be hard for communities with low income and living standards. Currently, there are 20 children from the Matsiguenka Native Communities staying at the Chachawasi boarding house in Salvación. It provides them with everything they need for their education, accommodation and well-being. Nevertheless, the students like to have pocket money for their personal expenses and so they sell traditional Matsiguenka crafts to generate an extra income for themselves and their families. The children love creating their designs, inspired by traditional native styles, and it’s a way for them to promote and celebrate their culture. The beautiful jewellery went on sale this week and is proving to be really popular with staff and visitors at the MLC, with 100% of every purchase going to the young student who created that unique bracelet. Each item has a tag containing the name and age of the designer and is accompanied with an information sheet explaining how the purchase is supporting them. Here at the MLC, we’re delighted to be supporting the Chasawasi-Manu project that facilitates access to education for native Amazonian children and we hope to build on this collaboration in the future.